These tension screw bushings are placed into a 1/4 inch diameter shutter pin hole on the stile where a tension screw is to be used. 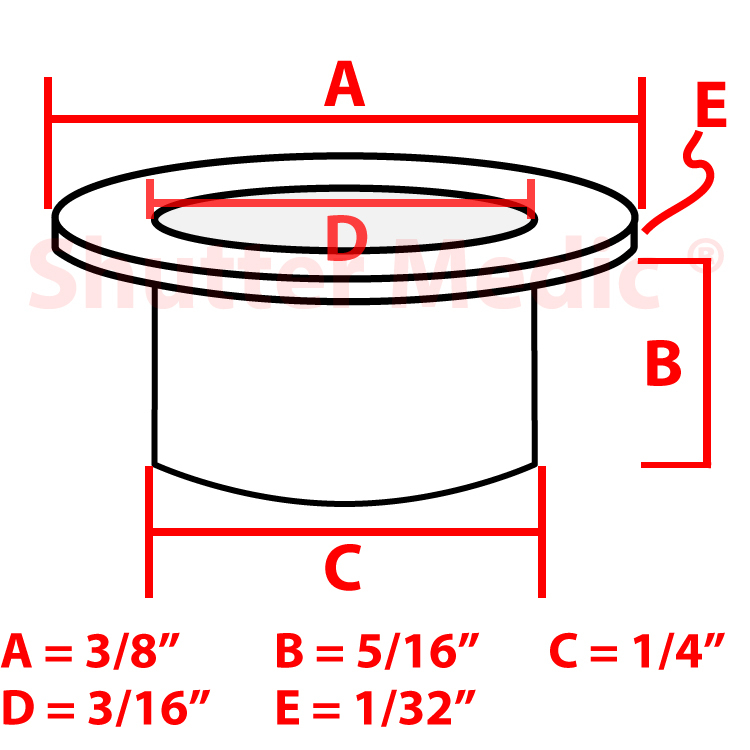 The bushing reduces the diameter of the shutter pin hole and supports the tension screw so it is centered in the hole. 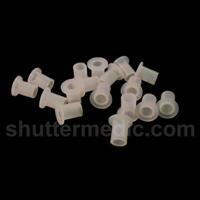 The bushing contains a flange exactly like the standard nylon louver pin (item NLP). This flange prevents the louver from contacting the stile when the tension screw is tightened. 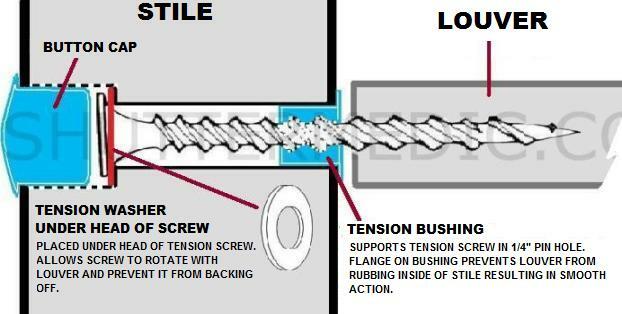 A Tension Washer (item TW) should be placed under head of Tension Screw as depicted in diagram.